Ian Gawler blog: The Wellness Warrior does it again! Ruth and I are leading Meditation in the Forest this week and I planned a week off from the blog. But I just cannot resist sharing this – short and sweet. Jess Aiscough is the Wellness Warrior and if you have not visited her website as yet, do yourself a favour. Full of vitality, freshness, optimism, down to earth common good sense, and the occasional (or is that regular?!) good recipe. Next week I will share some reflections from the retreat; it is a true delight to be a part of such a meeting. "Dance, my heart! dance today with joy. and the world is listening to its melodies. The world of man dances in laughter and tears. and live aloof from the world in lonely pride? and the Creator is well pleased." Some week I have had! There certainly are some important things to voice, reflect upon and act upon; with lots of relevant links below. Started with a radio interview with Jon Faine on Melbourne ABC’s Conversation Hour. Then the TV – asked to comment on the Cancer Council’s recent Position Statement regarding Complementary and Alternative therapies on Channel 10’s The Project. All this amidst a number of interviews for New Zealand as a prelude to speaking at their annual Holistic Cancer Congress soon. Next, took part in one of the most inspiring evenings I can remember, when 3 other cancer survivor/thrivers joined me to share our stories. Many thanks to (from) left Scott Stephens, Jess Ainscough, Dr Francis Macnab and Ruth MeGowan,; their presentations were deeply heart warming and highly informative. A tribute to the power of the human spirit! Surviving Cancer was filmed and hopefully will be available soon. Definitely worth watching! 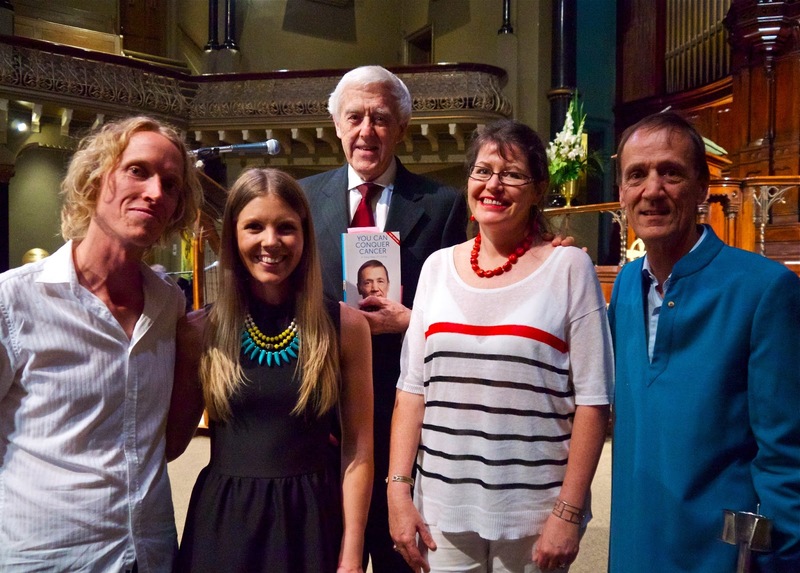 Same time, Dr Francis Macnab graciously and generously launched the new edition of You Can Conquer Cancer. This is your life, not a rehearsal. Somewhere there is a score being kept, so you have an obligation to live life as well as you can, be as engaged as you can. The human condition means that we can zone out and forget what the hell we’re doing. So the secret is to have a sense of your self, your real self, your unique self. And not just once in a while, or once a day, but all through the day, the week and life. Bill Murray. Yes THAT Bill Murray – Ghostbusters, Ground Hog Day etc. The Cancer Council’s position Statement on Complementary and Alternative Therapies (CAM). Firstly, the fact that the Council (CCA) has released such a document, given there are so many views on the subject, is to be applauded. This document provides a starting point for more public and professional dialogue. As a general comment, when it comes to definitions, I consider it respectful and accurate to refer to Traditional Therapies, such as traditional Chinese medicine, in their own right, rather than including them as an “Alternative Therapy”, given that the word “alternative” is used so much these days as a pejorative. Then too, the sooner Lifestyle Medicine is given separate recognition the better. Lifestyle Medicine is what people can do for themselves and it is what I teach. This is what the Gawler Foundation teaches and supports people to apply in their lives. This is definitely not Alternative therapy, not even Complementary therapy as such, even though it does complement so many other things. Again, Lifestyle Medicine focuses on what people can do for themselves and needs to be seen as a routine part of standard health care. Secondly, the 7 recommendations generally make good sense and most would welcome them becoming standard practice. For example it will be wonderful when people with cancer feel confident enough, as recommended, to discuss with their conventional healthcare providers (oncologist, general practitioner, care coordinator) any complementary or alternative therapies they are using or considering using, in order to minimise risk. At present we know at least 50% don’t, and clearly that is because they are often met with indifference, sometimes ridicule, sometimes lack of understanding, or not uncommonly, hostility. 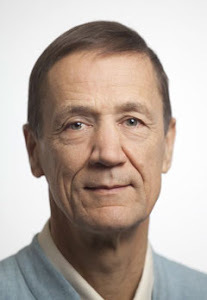 So it would seem clear that if another related recommendation to be met, that the CCA: encourages healthcare providers to routinely discuss the use of complementary and alternative therapies with all cancer patients and survivors, in an open and non-judgemental manner, some training will be needed for doctors so that they can do so. This training will require skills in communication, empathy and engagement; as well as a good factual base of what is going on in the world of CAM. This has to begin at the Undergraduate level, so when we hear of active lobbying by special interest groups like the Friends of Science in Medicine to cut CAM classes in medical schools, one wonders if they were to succeed how the next generation of doctors will cope and whether they will be able to meet the needs as recommended. Now we reflect on another recommendation, that the CCA supports the right of individuals to seek information about complementary and alternative therapies, and respects their decision to use them, provided they are not at risk of being harmed, and wonder about the mention of the risk of harm and the question of bias. The Therapeutic Goods Administration (TGA) keeps records of adverse drug reactions. In its last year of reporting it cited over 1,000 deaths linked to adverse reactions to conventional medical drugs. For CAM there were only 6 or 7 suspected deaths. We need to keep some perspective here. Based on the evidence, the risks associated with CAM would seem to be relatively minor. Anyone who knows anything about chemotherapy or even radiotherapy or even the risk of an anaesthetic or operation, would imagine almost any CAM therapy you think of has a far softer risk profile. Obviously even one death is one too many, but many people quite rightly are drawn to more natural therapies because in general they do have less side-effects and are safer. However, there does seem to be a bias in the professions and the media. I can imagine the front page drama if even one death was linked to practising too much meditation, or eating too much good food! Finally for now comes this, the CCA recommends that the National Health & Medical Research Council funds further scientific studies to examine the safety and efficacy of promising and commonly used complementary and alternative cancer medicines, so that people who have been diagnosed with cancer and healthcare providers can differentiate between those that are not beneficial or are dangerous, and those that may be beneficial. Please, yes please! For example, lets arrange an outcome study on how intense meditation affects survival times in people with cancer as soon as possible. The Cancer Council has the clout to push for this and I would strongly welcome and support such a study. You could be socially active, read the ACC statement and write to Prof Ian Olver at the Cancer Council with your response. His email is available publicly: ian.olver@cancer.org.au. Speaking personally, I intend to write a more complete response to the Cancer Council’s Position Statement. Then I plan to contact Prof Ian Olver myself, and ask how it may be possible to engage in taking this document and its recommendations forward. It was filmed and hopefully will be available soon. Definitely worth watching! 2. The link to the National radio New Zealand interview of March 10 with Chris Laidlaw. Along with the Jon Faine interview, this is one of the better and more relevant interviews I have done in quite a while – great questions, and plenty of time for good discussion. 3. The Cancer Council’s Position Statement on Complementary and Alternative therapies. 4. The Project, TV interview – fast and furious! Would have liked to have some of what was edited out (A lot!) included. Such is life . A New Way of Living. Ruth and I look forward to catching up with those we know in the West once again, and to meeting new people. There is so much to share about new developments: neuroplasticity, epigenetics, telomeres, telomerase. All things that have been the subjects of recent major scientific breakthroughs and that translate readily into daily life for disease prevention, rapid recovery and lasting wellbeing! I will be covering similar material in Melbourne, Sydney and Brisbane soon, New Zealand again later in the year. - world-renowned Buddhist teacher from Tibet and author of the highly acclaimed The Tibetan Book of Living and Dying. With his remarkable gift for presenting the essence of Tibetan Buddhism in a way that is both authentic and profoundly relevant to the modern mind, Sogyal Rinpoche is one of the most renowned teachers of our time. The atmosphere Rinpoche creates is one of incredible warmth, love, and penetrating insight, as if he were speaking directly to the heart of each and everyone present. For thousands of years, deserts have been places of inspiration for those on the spiritual journey. 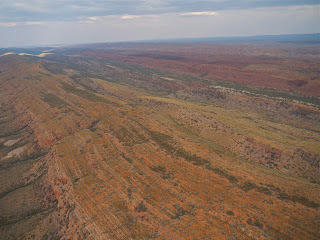 To enter into the central Australian desert is like entering into a “meditative field”. There is something about this place; maybe it is the fact that the land here is so ancient, maybe it is the vast blue sky, the incredible array of stars at night. Maybe it is the fact that the Indigenous Australians survived here for tens of thousands of years, imbuing their country with their rituals and respect and knowledge. In this way, maybe going into the Australian desert is like going to India, where the atmosphere of the spiritual focus in life is palpably in the air; in the ground itself. Ruth and I have the good fortune of a long and close connection with this central desert. Ruth lived in Alice Springs for 10 years, working in Aboriginal health and then a community general practice. I seem to have been magnetically drawn there on a regular basis for 25 years. So after many requests it is on again! 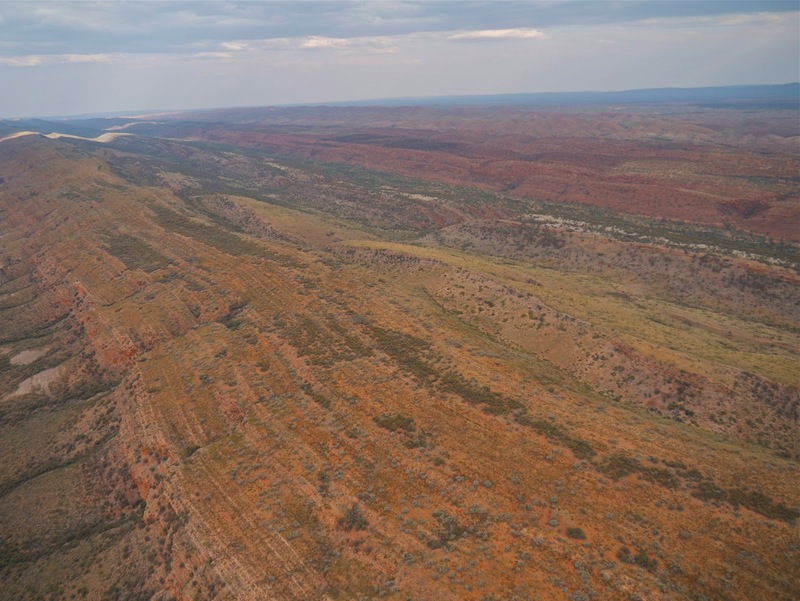 For the fifth time, Meditation in the Desert will provide the opportunity to share a unique meditation experience in the remarkable Central Australian landscape. 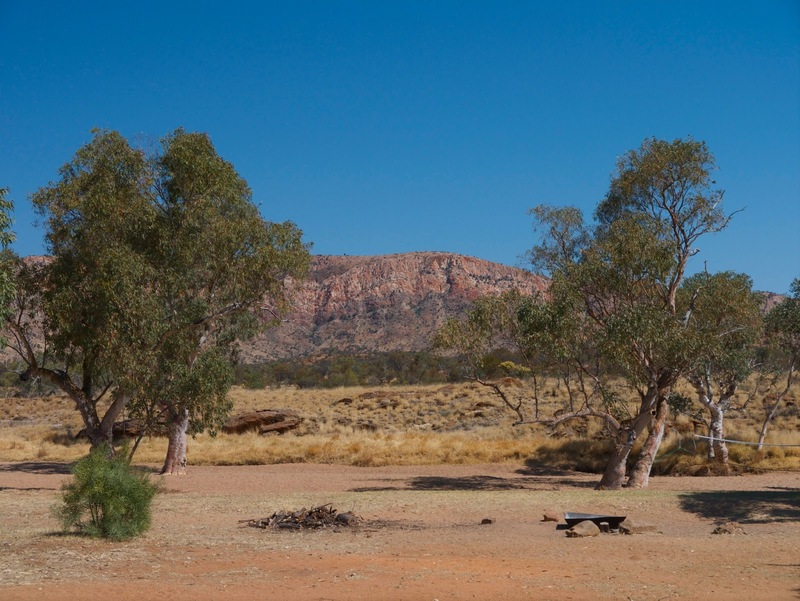 An opportunity to unwind, reconnect with your own true nature, and experience something of Australia’s ancient land and culture. Seven days of meditation will be followed by an extraordinary time sitting with traditional elders, the indigenous custodians of this unique environment. Overseas visitors could find this a great addition to an Australian tour and there is an early bird discount available for everyone if you book and pay before the end of March. You must train the mind like a muscle. If you want to train your body you must practise exercise regularly. Likewise, if you want to train your mind you must practise meditation on a day-to-day basis. You will not be able to carry a heavy load with weak muscles. Training is a gradual process. Meditation in the Desert will be held again at the heritage listed Hamilton Downs Youth Camp, a converted pioneer’s cattle station homestead about 120kms NW of Alice Springs. While meditation is the main focus, we use the gentle sharing of our personal stories as a way of helping to deepen and integrate the experience. I will be providing a well structured and in depth teaching on the practice of meditation. This will be supported and extended by an exploration of Buddhist mind science and philosophy, in a way that is accessible to all. The teaching sessions will be supported by the meditation practice sessions that follow each day. Meditation in the Desert is open to anyone who is ready to deepen their meditation and spiritual growth in the context of the heart of our land and our Indigenous heritage. It is intended for people from all spiritual traditions or of no particular faith. The structure of the retreat builds steadily with the intention of guiding both those newer to meditation and established meditators into a more direct and profound experience of meditation. Participants will find that the extraordinary spaciousness and atmosphere of the desert will support and further deepen their experience. It is a wonderful opportunity! The retreat includes walking meditation and basic Hatha Yoga led by Ruth each day. There is a longer break in the afternoons, to rest and relax amidst the peace and silence of the meditative space this desert landscape provides. Traditional Aboriginal Elders - a rare opportunity for an authentic cultural exchange. The retreat includes several days being with senior members of the local Arrente and Walpiri tribes. They may teach us how to gather food, make boomerangs, dress and dance… with generosity, humor and a translator! 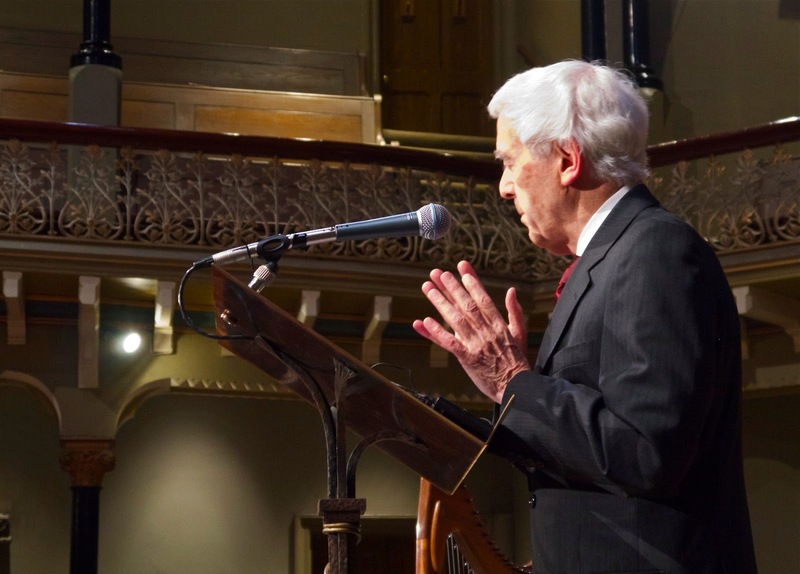 This provides a unique opportunity to meet and learn from a spiritual tradition that is at the heart of Australia’s history. It helps us to connect with these remarkable people, the land and ourselves in a truly unique way. 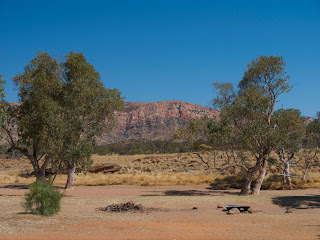 The retreat includes being picked up by bus in Alice Springs and taken to Hamilton Downs, then at the end of the retreat being returned to Alice Springs, or the airport. Many people enjoy sleeping out in a swag (provided) amidst the beauty and spaciousness of the night sky, the desert and its magical quality. However, there is also dormitory-style accommodation for those who prefer that. Be aware that this is a remote location with no internet or telephone access except in real emergencies, so good health and an enthusiasm to be in such an environment is a pre-requisite for attending. We meet informally in Alice Springs on the evening of Friday 6th September at 5pm. Then on Saturday 7th September around 8am we travel by bus to Hamilton Downs to formally begin the retreat. The retreat concludes in Alice Springs on Sunday 15th September, when the bus returns around 4pm. The bus can then also take people to the airport after that time, after it has dropped participants in the town centre and the main hotel. Cost: $1970 Reserve a place with a non-refundable deposit of $200, balance due 31st July 2013. Early bird discount of $1850 if fully paid by the end of March 2013. The cost includes transportation between Alice Springs and Hamilton Downs, the accommodation in Hamilton Downs, meals at Hamilton Downs, meditation program, a swag (if desired) and all activities at Hamilton Downs. It does not include airfares or travel to Alice Springs. We encourage you to book your airline tickets as soon as possible (we have already) as the flights and seats to Alice Springs often book up early. Travel insurance is encouraged as we will not be able to provide refunds after 16th August 2013. Meditation in the Forest starts in a few weeks and is fully booked, so registering early may make sense. 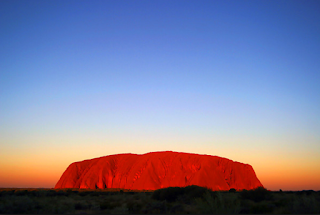 Many participants will use the opportunity of being in this part of the country to take a trip to Uluru (Ayers Rock), Wattaka (Kings Canyon) and KataJuta (The Olgas). You could make your own arrangements for this, however, the same people who are providing the catering (high quality vegetarian food) at the retreat are offering a 4 day add-on tour. The 4-day Ouback Tour needs to be booked separately through Remote Tours and departs Monday 16th September for 4 days. 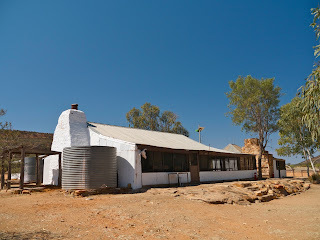 Passengers will be picked up from their chosen accommodation in Alice Springs. Ruth and I intend to join in with this tour, but we will not conduct any formal program during this time. For full details of the add on tour, click here. We have arranged a special price for participants of $880 per person and this includes all guided walks, cultural tours, meals, park entrance and camping fees, and transfers. More retreat details: click here. Myself and three other cancer thrivers share their experiences. Peter Roberts joins me with his harp to lead meditation. Bring your family, friends and colleagues. Be inspired, be informed, support this work and those actively engaged with it. Tuesday, March 5th, St Michaels on Collins, 120 Collins St, Melbourne form 6.30 to 8.30pm; light supper at 6.30pm. No need to book, $20 and $15 concession. All procedes to the Gawler Foundation. My weekend workshops that will focus this year on the best ways to prevent and overcome cancer are rapidly approaching. Perth, Melbourne, Sydney, Brisbane, and then quite a number of regional events. For full details link to my website by clicking here. 3. The tomatoes are on! For those who remember the blog about the easy way to plant tomatoes (Back a winner), it has been a good year. Picked about 20 Kgms of lovely organic tomatoes last weekend and turned them into pasta sauce for the winter. Yummy!